Protect the integrity of your gabion basket installation with high quality geotextiles behind and below the structures against the soil. 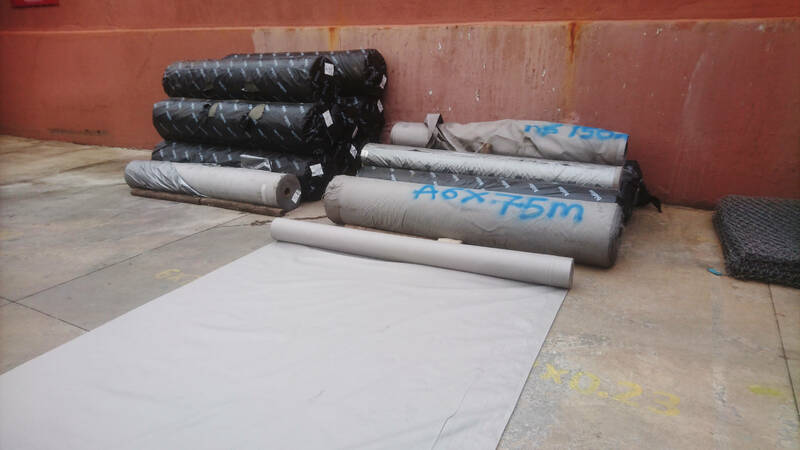 We supply only the highest quality non-woven or woven geotextile for gabion installations and other applications. These geotextile filter fabric materials are used to prevent the migration of fine soils from below or behind the baskets and through the gaps between rock particles. This can cause subsidence problems below or behind the gabion structure in time if not applied correctly and will be a problem especially in sandy soils. Clay soils do not generally require a geotextile filter fabric as they seldom leach through the basket section. We recommend using a suitable geotextile at the gabion and soil contact facing, this will limit any movement of soils through a gabion structure. In soft soil foundations especially and wherever overlaps or joins are require we suggest a minimum overlap of 300mm(1 foot). We supply geotextile to all sites where gabions are used, depending on the structure required we normally find that about 1-2m2 of geotextile per m3 of gabion is required. m long (397.5m2) or 5.3 x 150. Filtration – gabions and river mattresses, roads, concrete retaining walls. 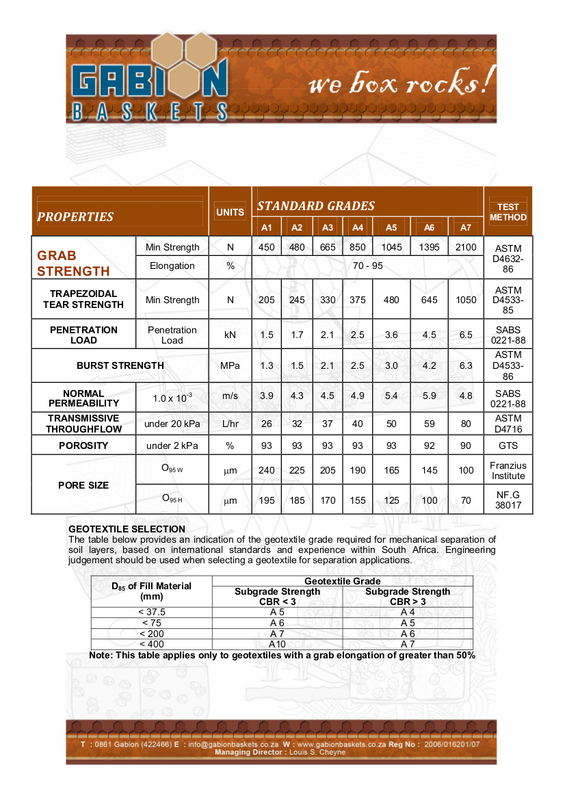 Separation – of good and poor roadway layer work materials, also for roads over soft soils. Drainage – the drainage of sports fields, railway tracks and behind concrete walls and embankments. Membrane liner protection – gabion structures, landfill sites. Roadway lining – providing waterproofing for layer works and wearing courses.